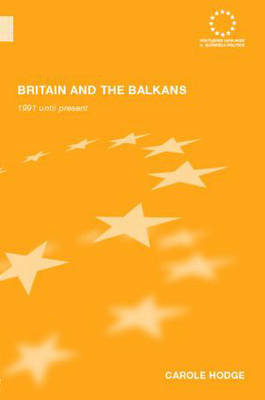 "The most serious study of British policy in the Balkans to emerge so far"
"The publication of Carole Hodge's new book is a significant event for Yugoslav/post-Yugoslav studies and a major and brilliant contribution to the continuing debate about Western policy in the War of Yugoslav Succession... The book deserves a careful reading and is sure to influence future writing about the Western policies in the War of Yugoslav Succession and in the War for Kosovo. Students specializing in international policy in the southeast European region should put this book on their "must read" list." "For breadth, completeness and reliability of empirical sources, and for the quality of competent and detailed usage and understanding, as well as interpretation, this book represents the pinnacle in its category... In its results and reach, this book belongs to those very rare works which, without exaggeration, can be said to extend significantly the boundaries of existing knowledge."